plastic flip top bins used as a recycling center, dog food storage or other pet food storage. 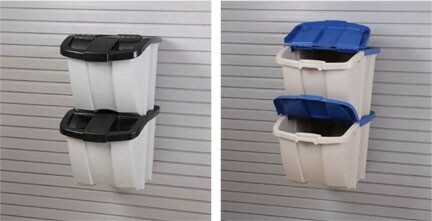 Over sized plastic bins perfect for storing your recycled goods or dog fod. Large containers and bins with endless usages. What is your biggest headache in your Garage?